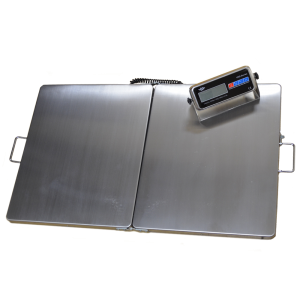 The XL-700 is one of the biggest personal bathroom scales we offer. 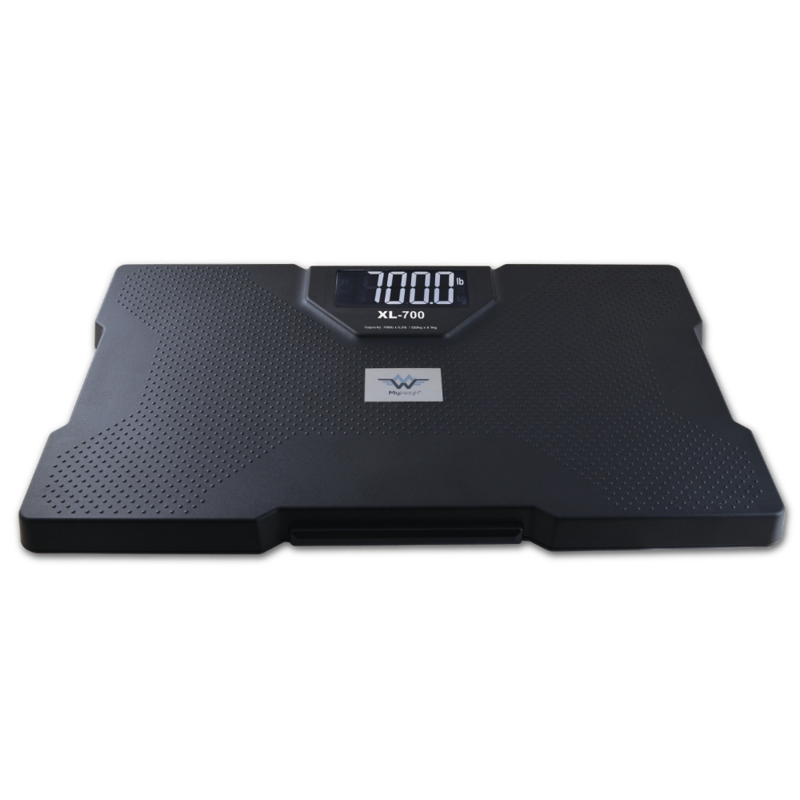 This scale has a 19 inch by 11.75 inch platform. 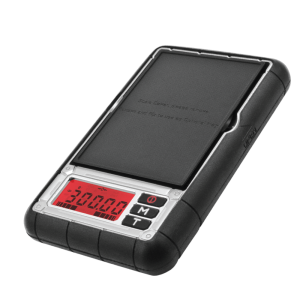 The XL-700 will stay powered on as long as you need. 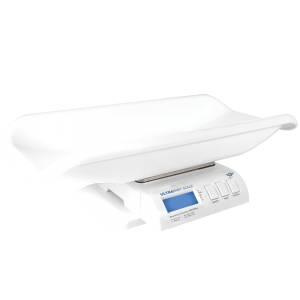 Once it senses you’re stable it will capture your weight reading, display it for you, and say it aloud. 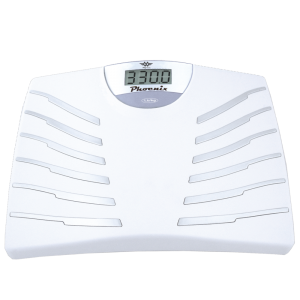 If you’d rather not have your weights announced, the talking feature can be turned off and your weight will still be displayed on the reverse lit LCD display. 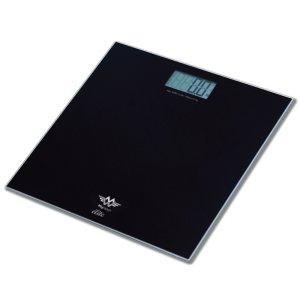 The XL-700 speaks in four languages.This high capacity talking bathroom scale comes ready to weigh in English, but you can program it to read your weights in German, French or Spanish if you need to. It’s easy to change, too. 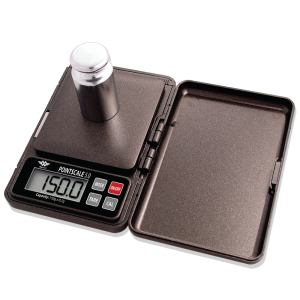 Just press the “UNIT” button on the bottom of the scale for seven seconds, then press “UNIT” until you get to the language you want. 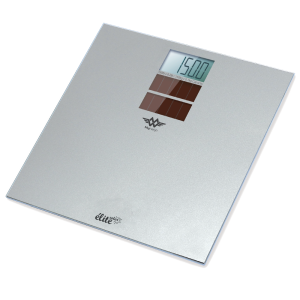 After you’ve found your language, just press and hold the “UNIT” key until the scale says goodbye. Your language selection will be saved until you change it, or take the batteries out. When you’re ready to weigh just give the activation button a tap with your foot. 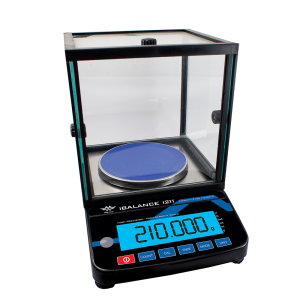 It will turn on, say “hello” and let you know when it’s ready to weigh.